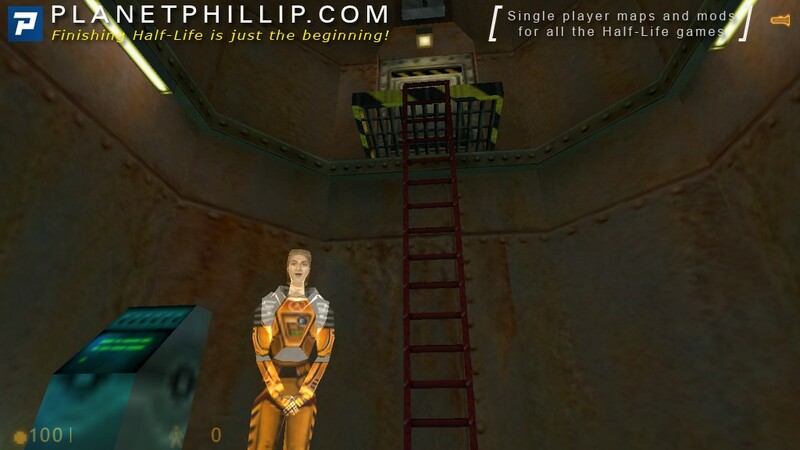 The Training Facility at Black Mesa houses the Hazard Course to help users of the HEV Suit hone their skills at jumping, crouching, and combinations of both – everything you’re going to need to worm your way out of a facility that’s crashing down at your heels as aliens appear in flashes of green light all around. Scientists observe from windows on the side, marking your performance on clipboards. They congratulate you on doing well and you aim to impress. Towards the end, there is instruction on how to use the Long Jump Module, as well as instructions on how to interact with objects in the environment. 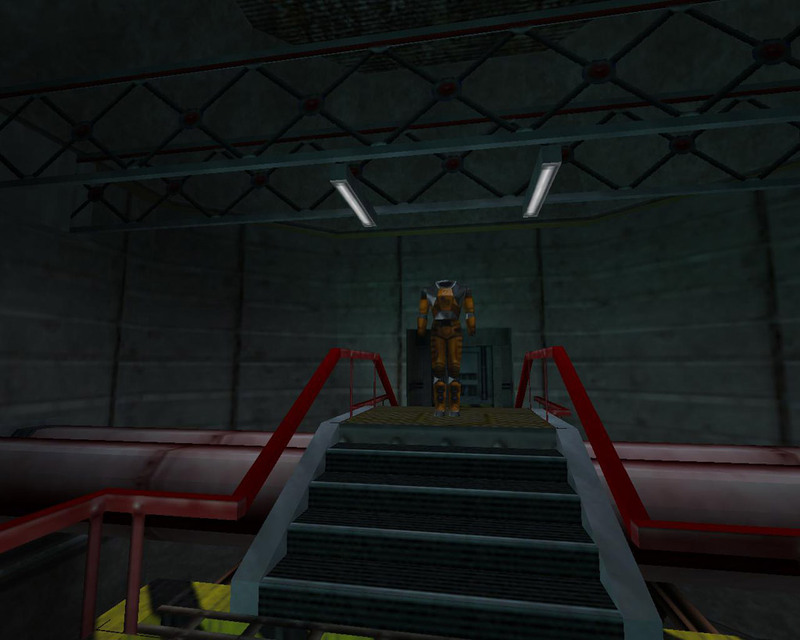 In Opposing Force, the player can visit the Hazard Course at the duck-jump training room by using the Displacer Cannon in Xen, where Adrian Shephard first acquires it. The room appears to still be functioning, as the Hologram and success markers still function. A nearby Vortigaunt mistakes the Hologram for a real person, attacking it. 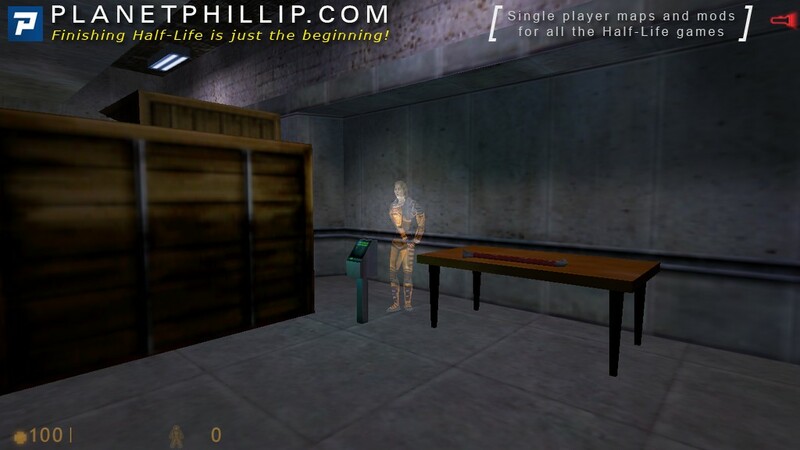 It soon realizes that the Hologram is fake, and proceeds to attack the player. 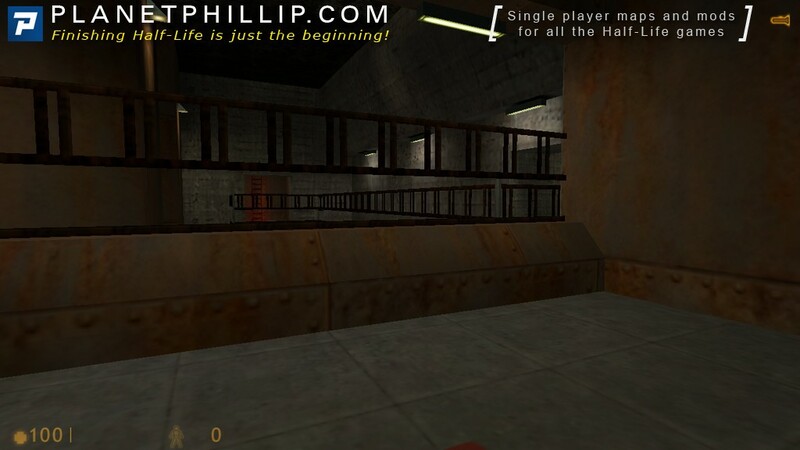 In Half-Life: Decay, one of the chapters happens to be Hazardous Course, in which Doctors Colette Green and Gina Cross walk through the destroyed remains of the course. The Hologram in the course is Gina Cross, one of the main characters in Decay. 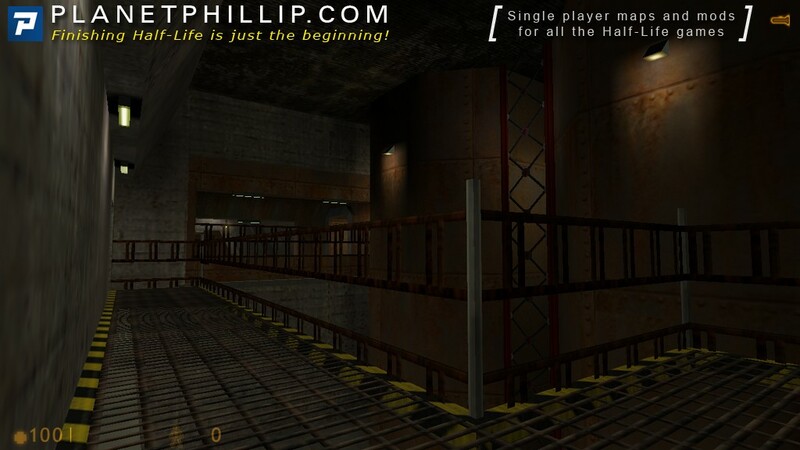 Did you play the Hazard Course before Black Mesa Inbound? I can’t say that replaying this was very exciting. Not so much because the level itself was bad or anything else negative, it was more because I have started the training room probably a hundred times. The reason is that without looking in the liblist.gam file of a mod, there’s no way to know if the mod has a special training room or not. Of course, some say in their readme.txt, others don’t. What I did notice about the level is the variety of textures, shades and colours. It’s easy to think that the whole level is a dirty brown but if you look careful it’s much more than that. I kinda wish I had used one of those programmes that take one colour from an image and used it to chart a colour flow. I suppose mappers could examine the details of the construction better than I but I did notice that there’s a ladder with a red glow that has no obvious light source. Anyway, the area does a competent job of introducing the basic movement requirements and also setting the scene. Image 12 in the main post does a wonderful job of showing you what’s coming without spoiling it. I’m definitely raring to go into the next chapter. Are you? 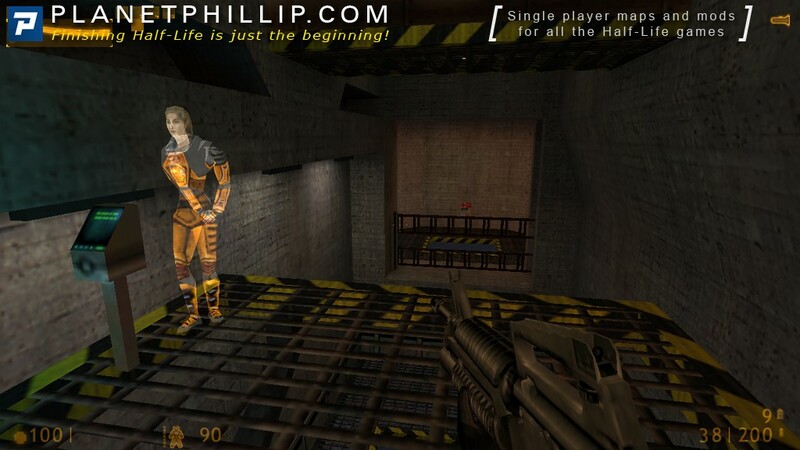 Gordon Freeman liked to spend his free time in the Black Mesa Hazard Course. He used every available opportunity to redo the training. He didn’t know why, but in these training grounds it felt good, it felt right. He was jumping, shooting, swimming, using the suit, trying to get as close to perfection, as possible. The Hazard Course. Really excellent chapter of the game. Not only it teaches you how to play, but also tells the story. Return any time – says the end text. And it’s really pleasing to return. To find alternative ways to complete it is incredibly fun. For example, using Long Jump module instead of crates, getting through the bridge before the assistant manages to turn off the light. 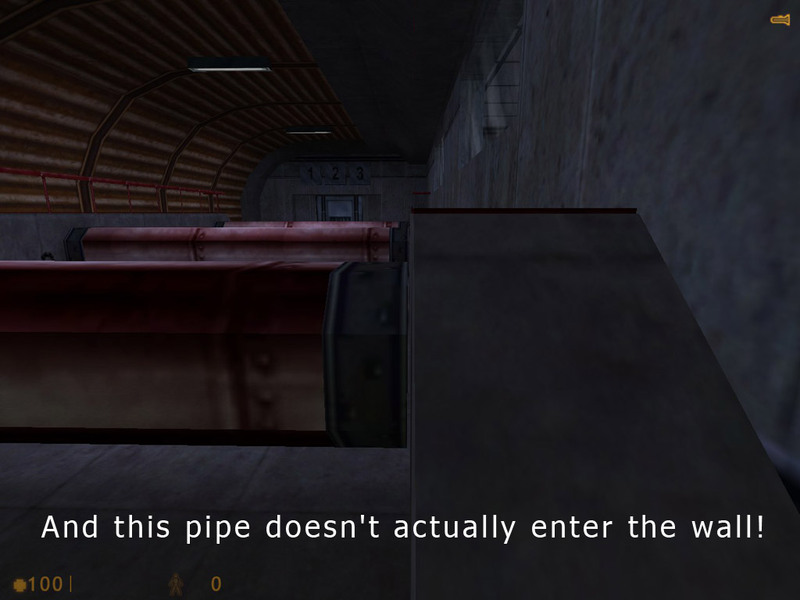 Jumping from pipe to pipe when you’re supposed to duck under them. Using the hologram gives it a nice high-tech feel. In the room where we have to jump into the pipes when ducking midair, the designers suddenly change the rules and we have to do what we’re told to or the door won’t open. But what’s the point? The only way to progress is to jump-duck into the pipe which is behind the door, so no one will get through uneducated anyway! Doing three jumps in a row was quite a challenge for me back in the day. Now it’s very easy. In the room with elevator there’s an optional environmental puzzle about long jump: you can jump back to the place from where you entered it, and then find a way to advance from there. For some reason the last training level didn’t load for me, so I had to get to it through the console. Strange, never encountered this bug before. 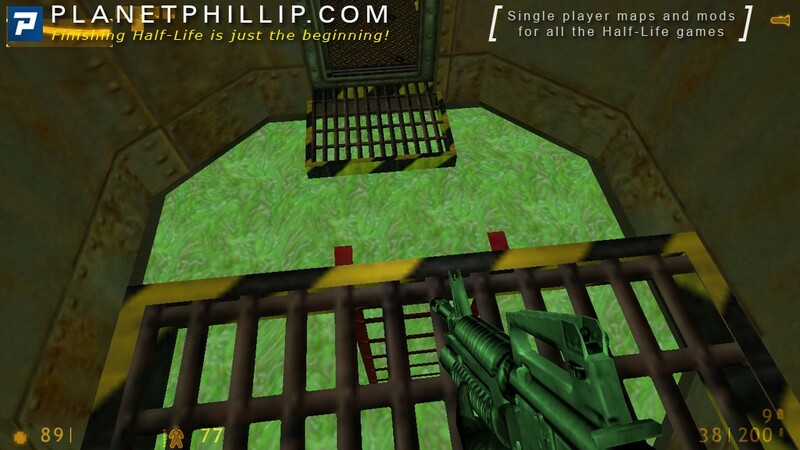 For many older players the Hazard Course is where it began and you get your first glimpse of the HEV Suit. At the time none of us realised we would still be wearing it nearly a decade and a half later (I hope you took it of and washed it occasionally or it must be getting a bit whiffy by now!). To this day I still find too few modern games include a training area to get used to the gameplay dynamics and key bindings (which of course you can change). The Hazard Course introduced us to the basic gameplay and what we needed to know to survive the coming onslaught, but it still didn’t give too much of the game away. It may seem old hat by now but the hazard course is still probably a must play if you want to understand the series from the start. Playtime depends very much on how many times you have played through it, I’ve played it many times. And yes, the design and textures aren’t all the same as it might look at first sight. It’s quite varied and good-looking. 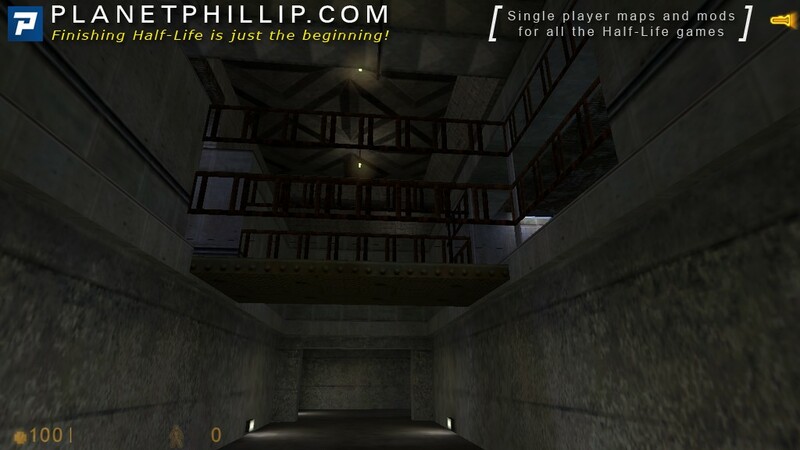 What I always check out when playing (bigger) mods for HL1, is, if there’s a special, new “Hazard Course”, cause I like to play such tutorials lot. 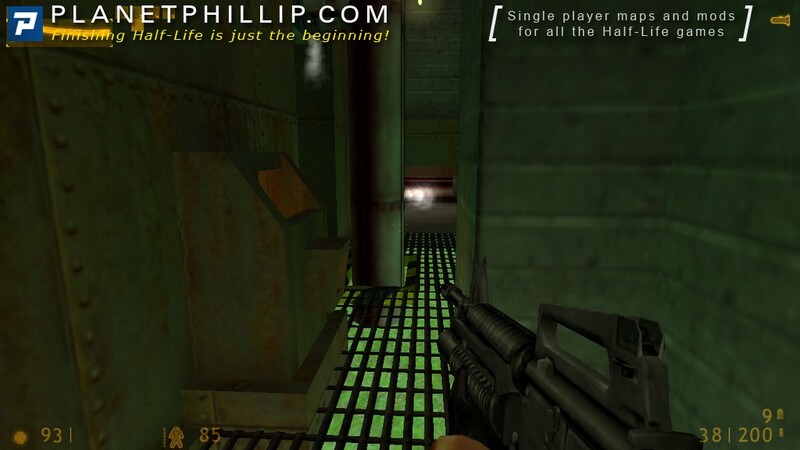 Unfortunately I can’t recall which was the best, but what’s in my mind is the one of “Black Ops” and “Poke 646” mods. According to the TREE event here at PlanetPhillip.com I did replay the “HC” twice again, and just yesterday I’ve also taken a closer look on that red glowing ladder in the flashlight-use area. Well, it’s just a minor design flaw which can be neglected. In conclusion the HC is very well done, showing newbies how to play HL with good support of the holographic female assistent. It’s also very good designed and contains everything important to survive easily in the main game (and other maps or mods of course). Fun to play, and gets burned into memory quick. 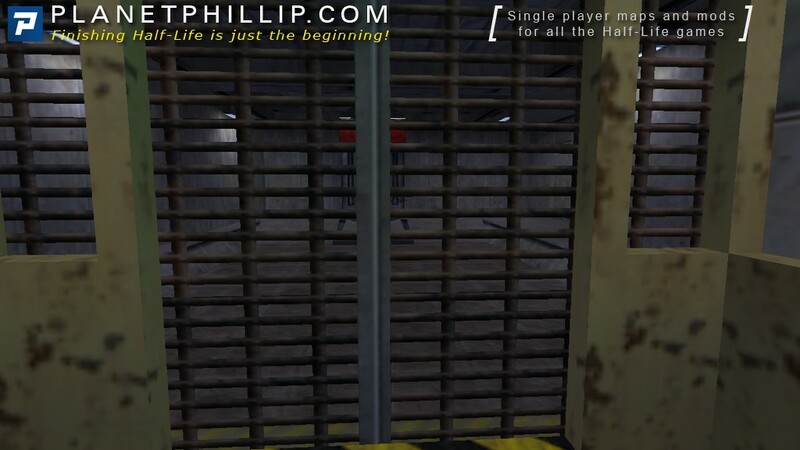 The most interesting thing for me regarding the Hazard course in the past couple years came with the Hl1 mod Induction which introduced a part of the ps2 hazard course which had a scientist talking to you before you actually enter the elevator leaving down below to the real hazard course. Other than that the replay value for that course was rather low. The basic training of Op4 how ever was greater when it comes to a potential replay value. Probably because a lot of the maps play outside and not in grey environments. Back in 1998 I did play the course naturally as everything back then was so epic and new. in fact most shooters back then were great. Be it Quake, Unreal1, Hexen, Blood etc. Ah I miss those times a little. 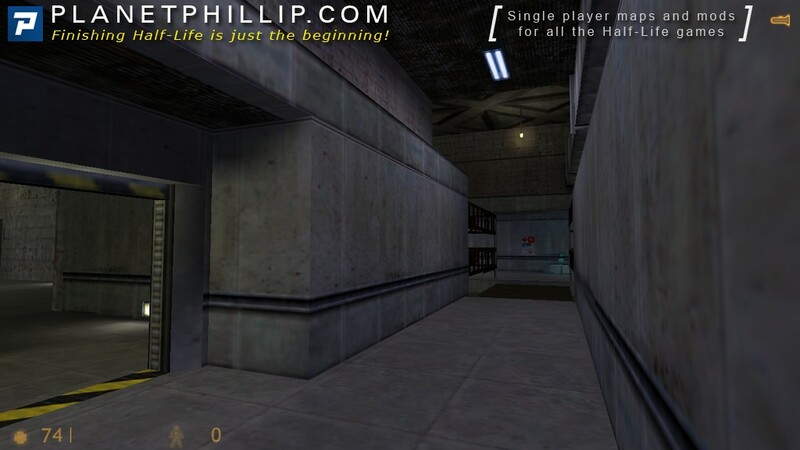 Anyway like you people already said it was & still is a great introduction to the world of Hl1. Even today I’m still amazed by this “you’re right in the middle feeling & part of the facility.” Not many games succeeded by giving such a feeling to the player. 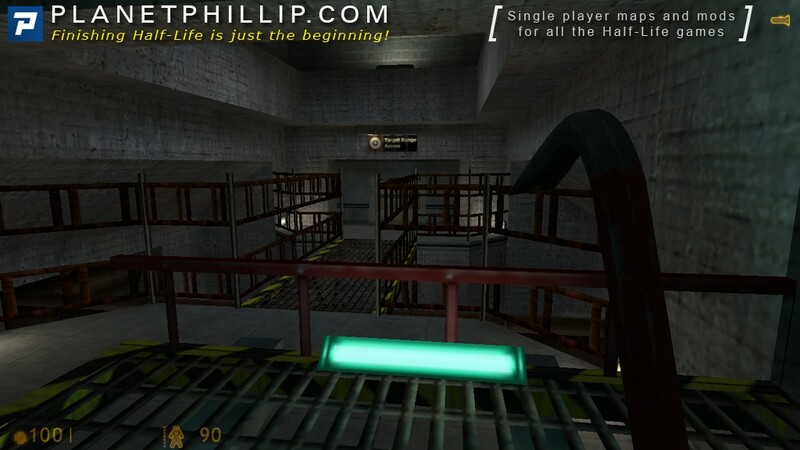 The Hazard Course fills a need for Half-Life as a game very nicely. 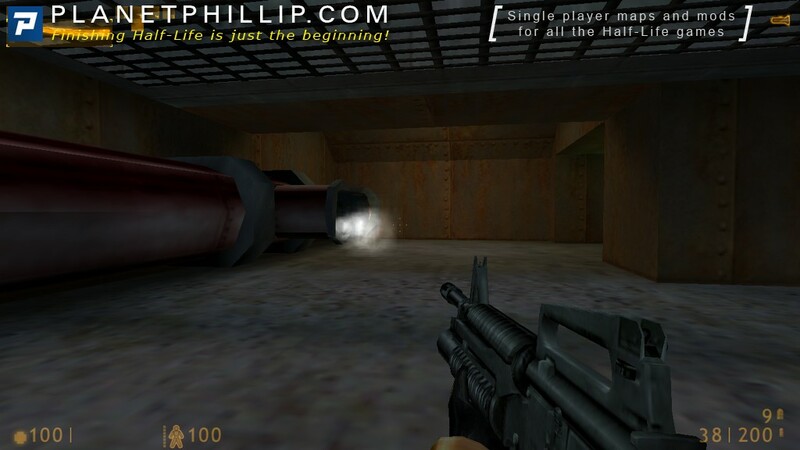 While I can’t say I really enjoy the Hazard Course nowadays, it is a good introduction to the Half-Life world, and it teaches you both basic and some important tricks, which even if you’re a FPS veteran, are somewhat specific to Half-Life (particularly in 1998). I’m referring to the long jump module, health & HEV chargers (health packs on the floor was more common in FPSs then), getting help from guards, and controlling the tram cars. 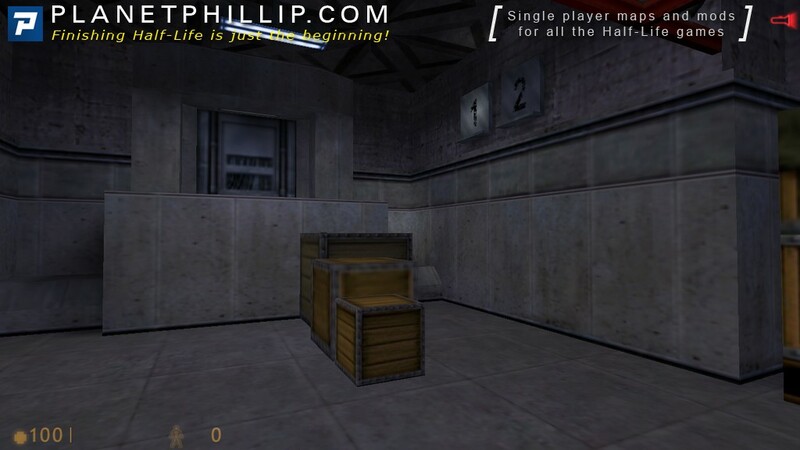 But most importantly the Hazard Course is separated from Half-Life proper. It’s the only place where you’ll see or hear things like “Press your use key to…” Only the Hazard Course breaks the fourth wall in this manner to talk directly to the player, and it’s not by accident. 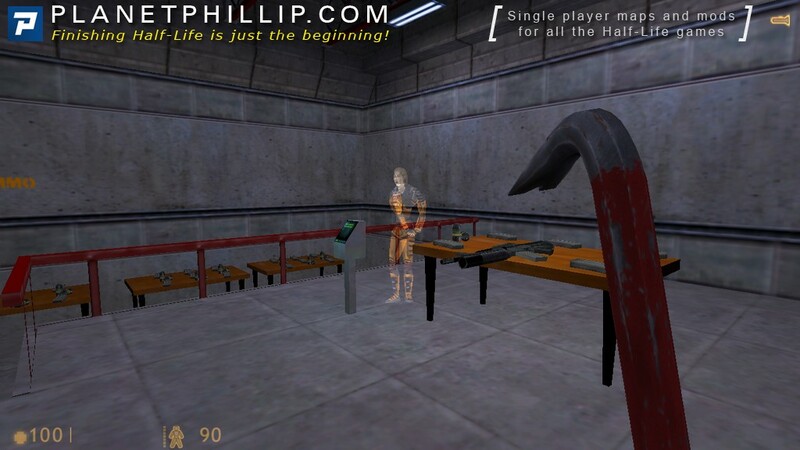 When you play the actual Half-Life game, you are Gordon Freeman. 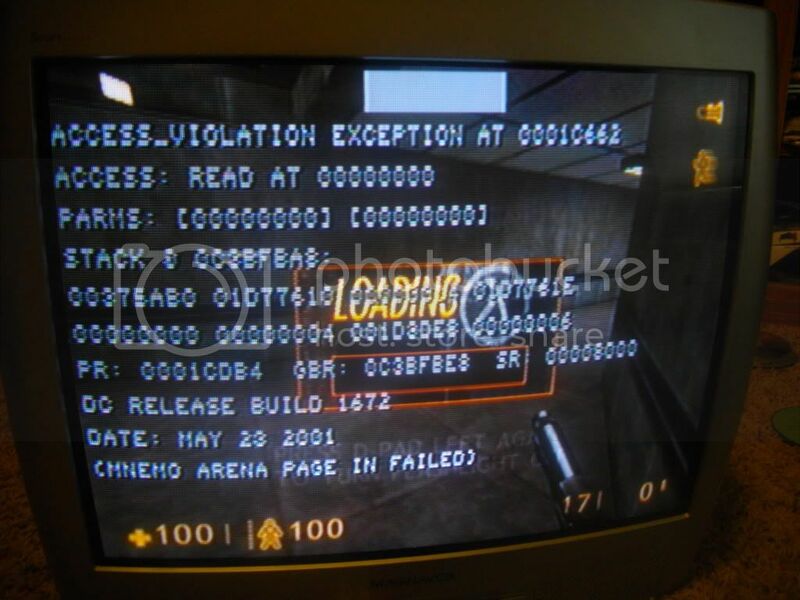 To this day it still bothers me in games to be told to hit a specific key to pick something up, or even to see text on the screen saying it (Half-Life 2, I’m looking in your direction). It doesn’t ruin my immersion but it does distinctly remind me that I’m the guy behind the monitor and not in the game. 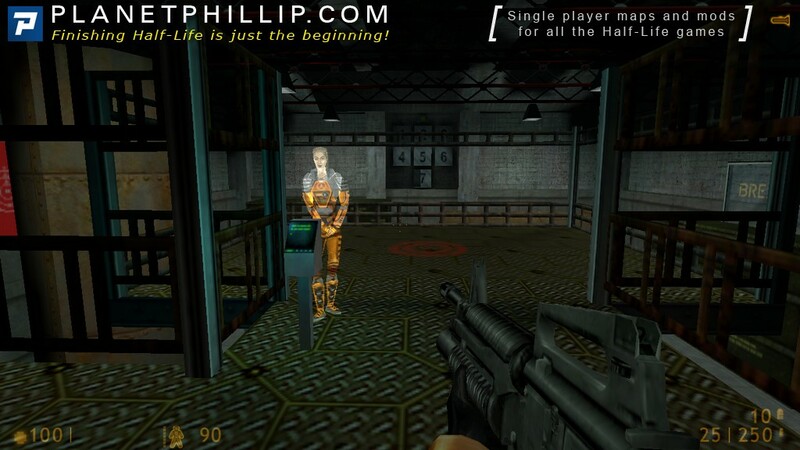 Half-Life got this right, it keeps the suspension of disbelief intact for the game, and uses the Hazard Course as the interface with the player. Create 2 momentary_rot_buttons. Set the “Door Hack” flag on one (your bridge). Have them both target the same object. When you use the first one, the “door” will move. Also note the nice use of env_sound entities to change the properties of sound in each room/area. It’s particularly noticeable when the HEV suit is talking, you move out of that area and you can really notice the echo changes. This is a great feature of the sound design in Half-Life which is something I’ll talk about in future chapters to be sure. 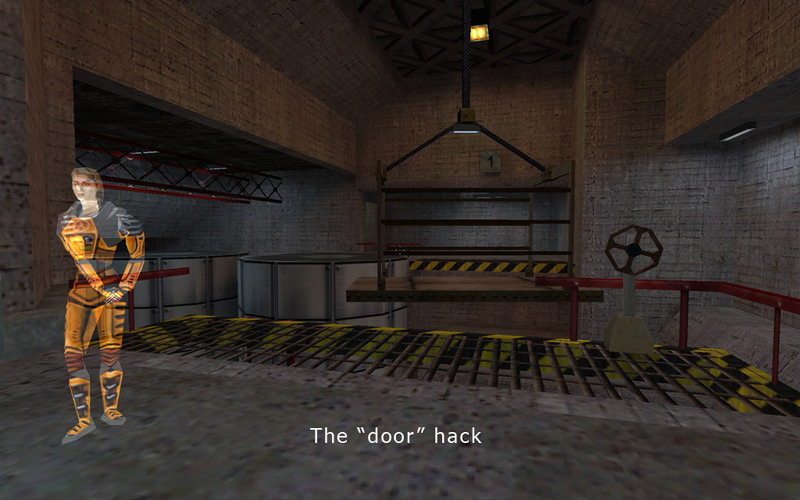 – Open the locked door in screenshot 5. 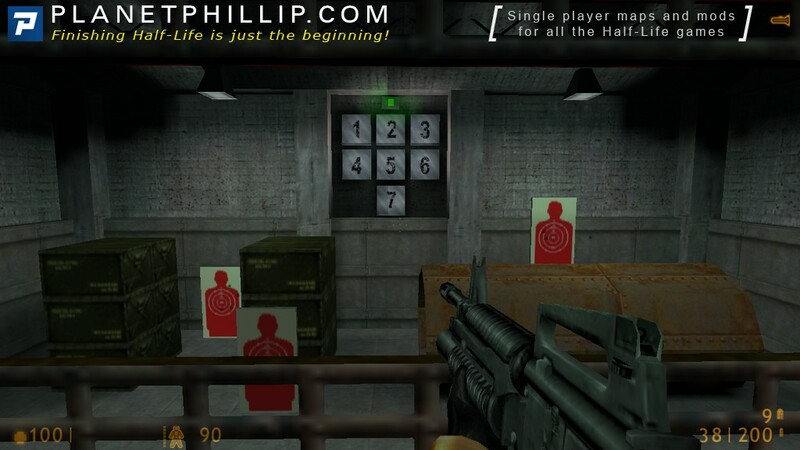 – Hit the final target in the target range without using grenades. The hazard course does a fairly good job of teaching new players how to go about the game. Its lessons are not only invaluable in the actual game, but become quite useful even for all the hundreds of mods thereof. It is very effective in its purpose: training the player in the use of the mark 4 HEV suit. Yes, I meant to mention that too. It really adds to the whole atmosphere. Hazard Course. So much nostalgia surrounds that name for me when I hear it these days. 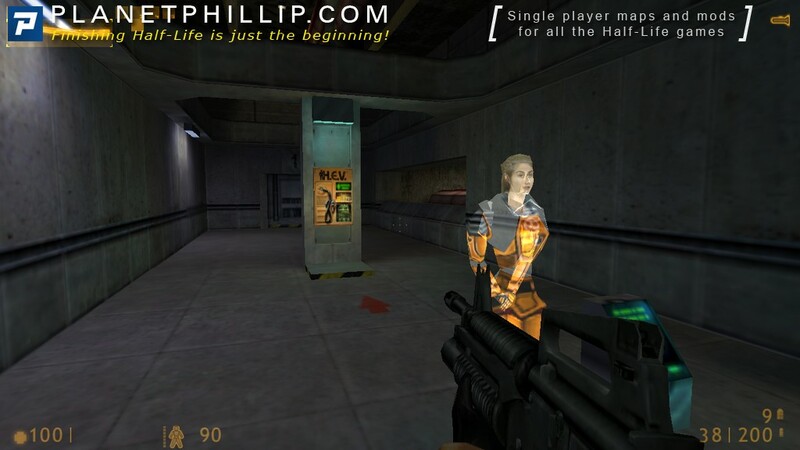 The thrill of my new £2.200 PC and the latest game to test its power was “Half-Life”. Hazard Course looked amazing when it first loaded, the atmosphere of future tech and the background sounds made me, the player feel completely immersed right from the off! The holograms echoing voice over my surround speakers added further depth and I eager completed each task and run down the clanking walkways. I remember struggling with the ducks and jumps and the long jump took me ages to get right! 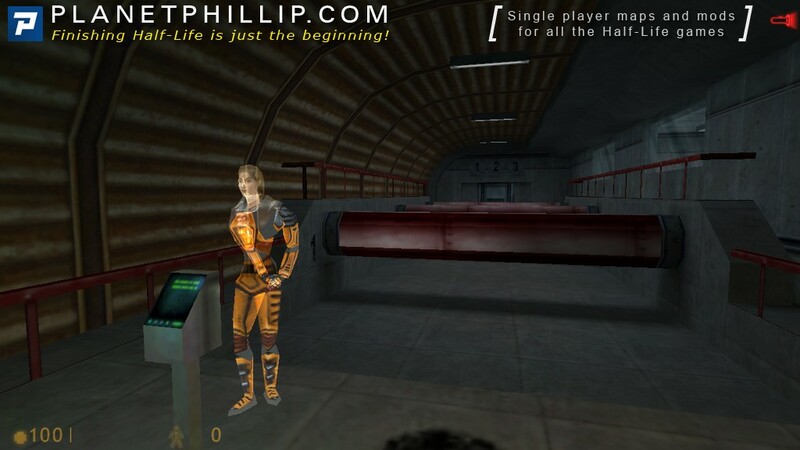 Laughably funny now but “Half-Life” was my first foray into three-dimensional game play other than the rather primitive, early flight sims! It was and is a great training level for a game, which was echoed by another great game years later. “Deus X” had a similar “hazard course”, but you had to wear a helmet to go through its hazardous areas! Ha ha! I remember that this new game felt different than any previous, a certain something that I could not fathom back then, which I now know was quality. 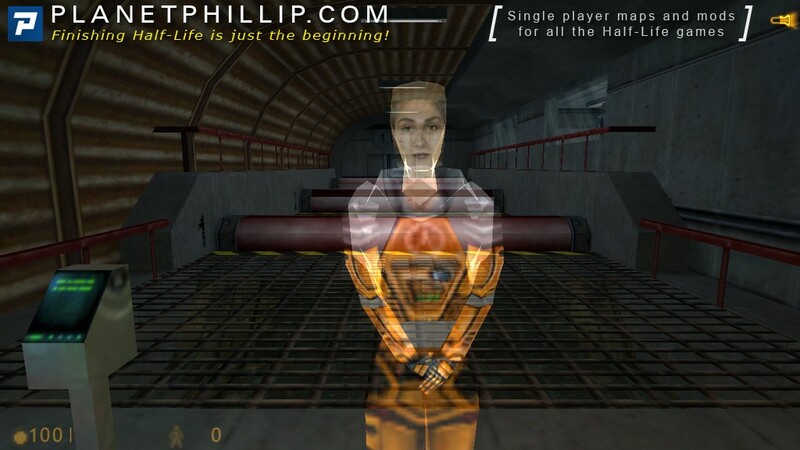 Something I’m glad to say has never been compromised in the Half-Life series…. I remember struggling with the ducks and jumps and the long jump took me ages to get right! That’s a good point. I wonder how many others had trouble with some of the new moves. We just take them for granted but at the time it was pretty revolutionary. The “Use” key was also pretty cool for me, that really helped the feeling of immersion. Getting characters within a game to do your bidding was amazing. 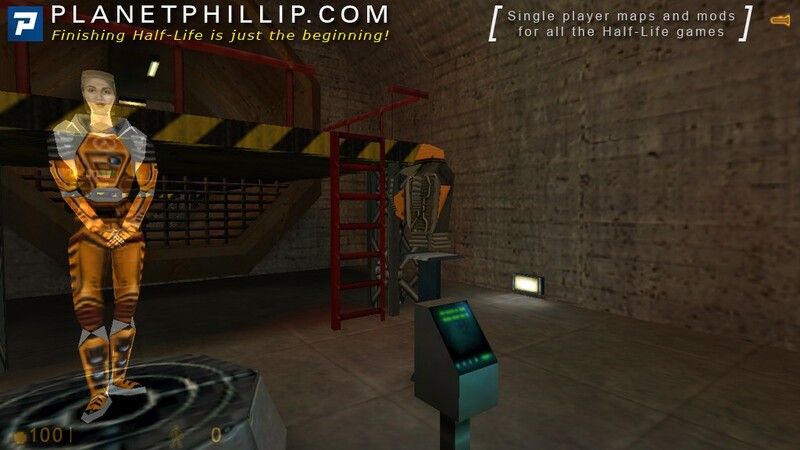 The Hazard Course was, ostensibly, the first thing many players saw (and experienced) when they first started up Half-Life. 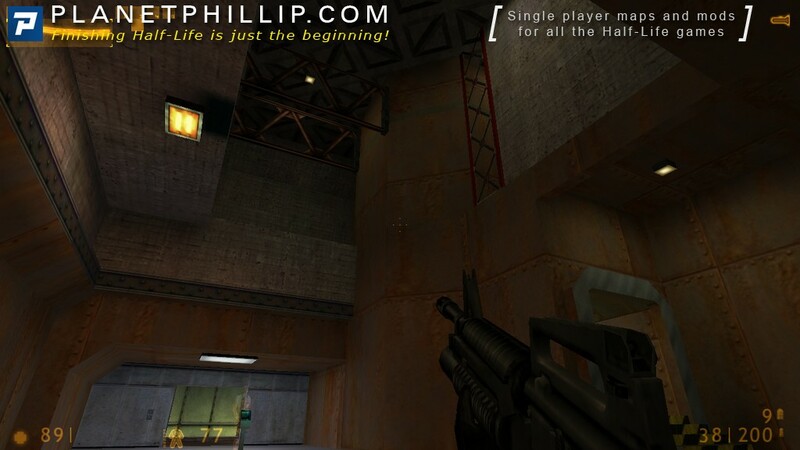 Valve presumably anticipated this fact, and I can only assume that they realized they’d need a memorable, well-done training level that introduced new players to both Half-Life’s new mechanics; as well as the basics of FPS gaming. Of course, the Hazard Course (what a rhyme) accomplished all that with flying colors. Even 14 years later, it still plays wonderfully. 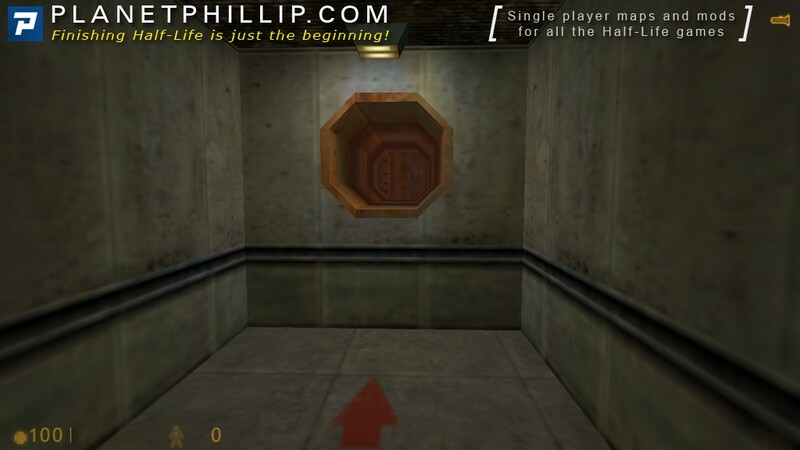 Everything the player could possibly need, in order to get through Half-Life, is extensively conveyed and explained throughout this chapter. 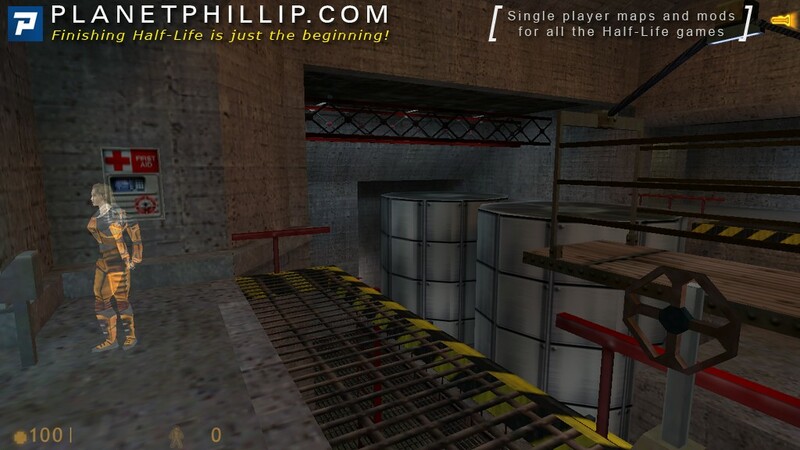 Overall, Valve did an excellent job on that front – this might just be gaming’s greatest training level of all time. 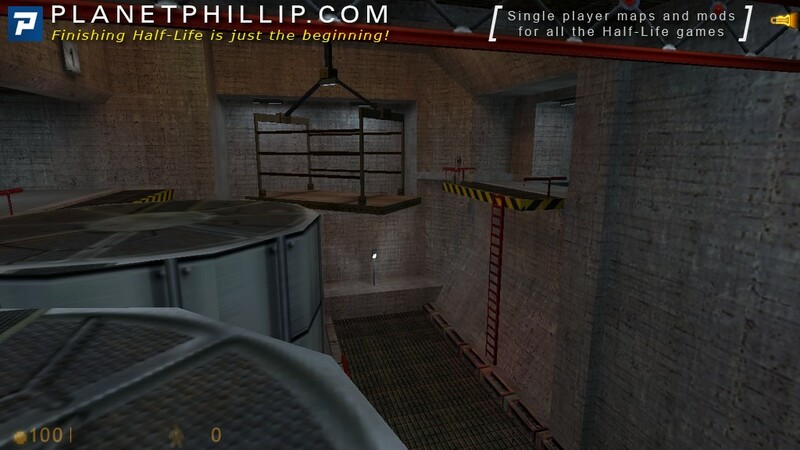 Built around some of Black Mesa’s oldest maintenance areas (from back when the facility was a 1950s ICBM silo), the Hazard Course sports some logical, realistic, and impressive level design. As a kid, I always wondered what all the machinery we see in the levels was supposed to do. 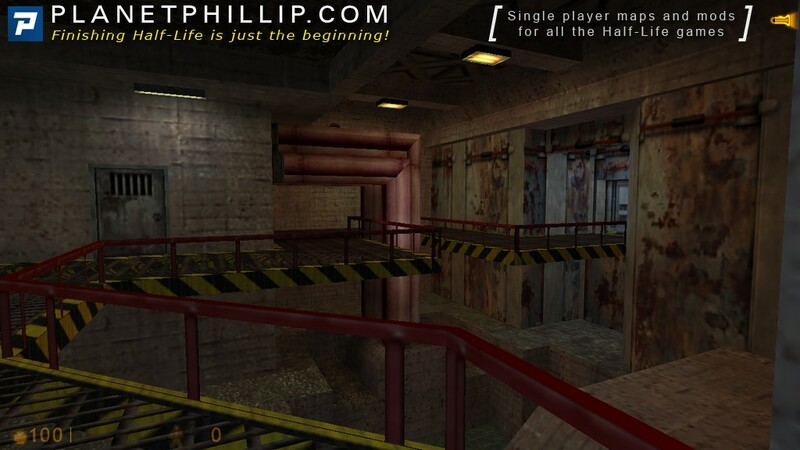 I suppose that’s a testament to the depth and detail that Valve provided with Half-Life. Of course, within the game’s fiction, the Hazard Course makes… very little sense. Floating HEV suits, constant references to the keyboard controls – and a number of other issues, serve to turn the Hazard Course into an experience that doesn’t make sense within the game continuum. 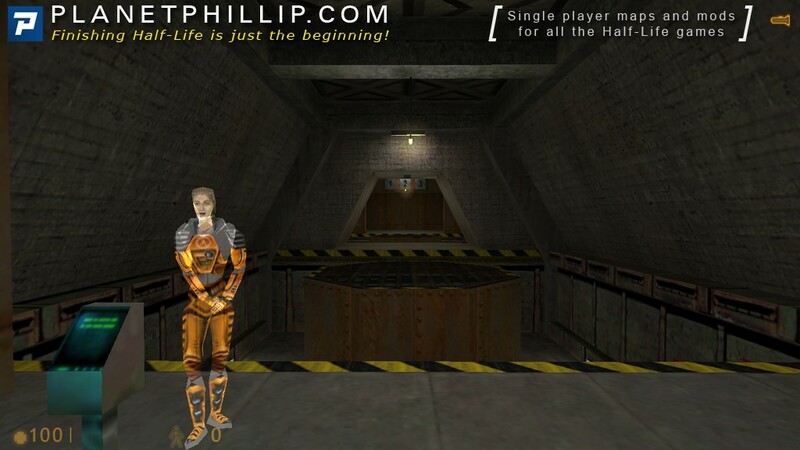 There’s nothing explicitly wrong with that, but it does slightly erode the integrity of the Gordon Freeman experience. 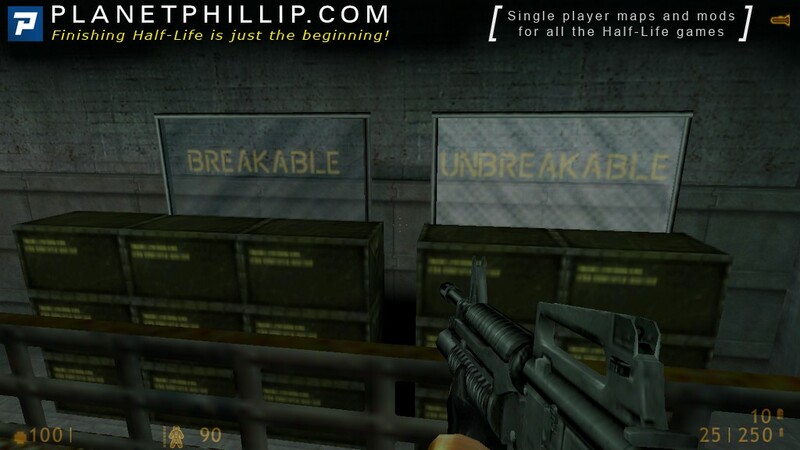 These problems were slightly rectified for Half-Life’s console re-releases, but ultimately, not much can be done. This may be one of the reasons that led Valve to ultimately abandon the concept of a tutorial level. It is slightly ironic, because they themselves were the pioneers of it, back in 1998. Just 6 years later, they would also be the ones to retire it (and just as the gaming world followed in 1998, they followed in 2004). 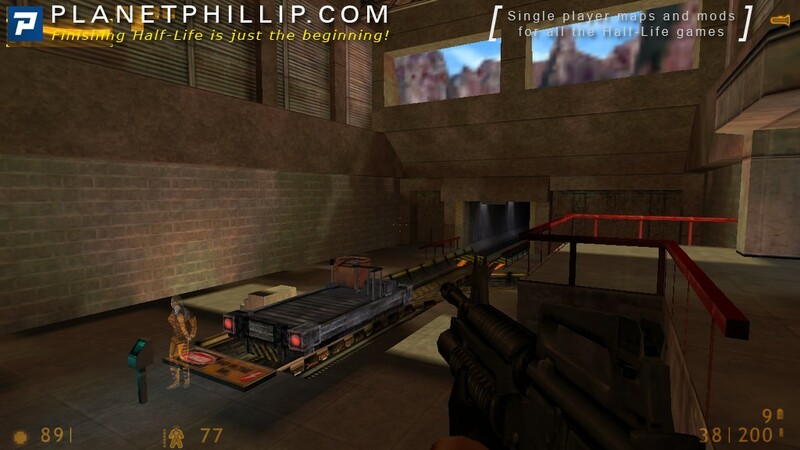 In Half-Life 2 and the Episodes, all training is directly built into the game itself (although Valve experimented with a HL2 hazard course several times in the game’s development). In Portal, the entire game is a tutorial. Strangely enough, Team Fortress 2, of all Valve games, would eventually include a training level. And both CS: Global Offensive and DotA 2 are also set to include significant tutorial sections. 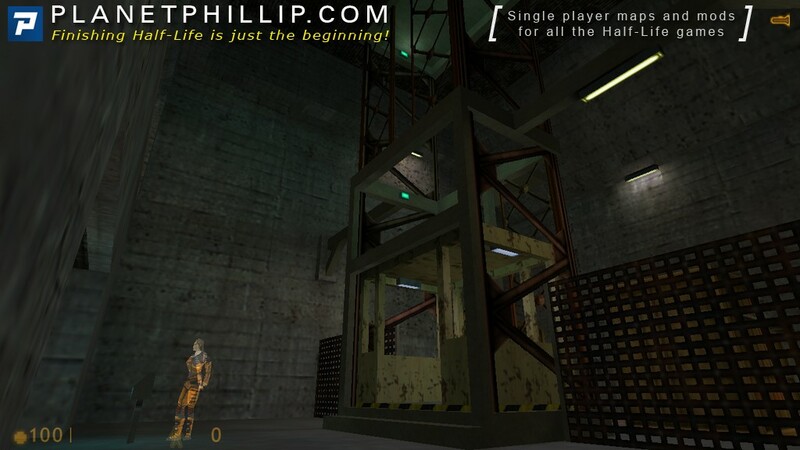 But Half-Life, in whatever form it will take in the future, will probably not feature a second Hazard Course. 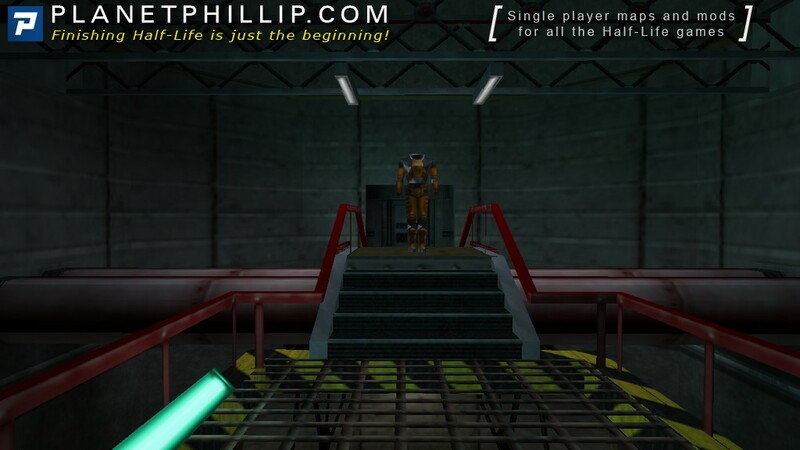 Its demise is a shame, yes, but the Hazard Course owns a huge space within most gamers” hearts. But, ultimately, it’s a testament to Valve’s constantly evolving nature as video gaming pioneers; builders… and demolishers. What gets me wondering, tho, is: where are the OTHER HEV suits? They didn’t just make that course for one suit or person; and they sure as hell weren’t going to conduct just one hazardous experiment. So: there are more suits. Some people are using them (and we know, thanks to the hologram, that they make them for women as well as men); and, even if there’s just 3 or 4, that’s still more flies in the ointment. Maybe fodder for HL3?? Not all would be on Gordon’s side. Well, first off, I don’t think I ever stated or even implicated that it wasn’t Valve’s story to tell. And besides, that was never really in doubt to begin with. In any case, it being their story shouldn’t stop anyone from being able to criticize it, which I did. Sorry, but I’m afraid you make some pretty flawed points here. Let’s first understand that the portal project was entirely classified. Very few actually knew what was really going on in the Lambda Complex, and in the biological labs. 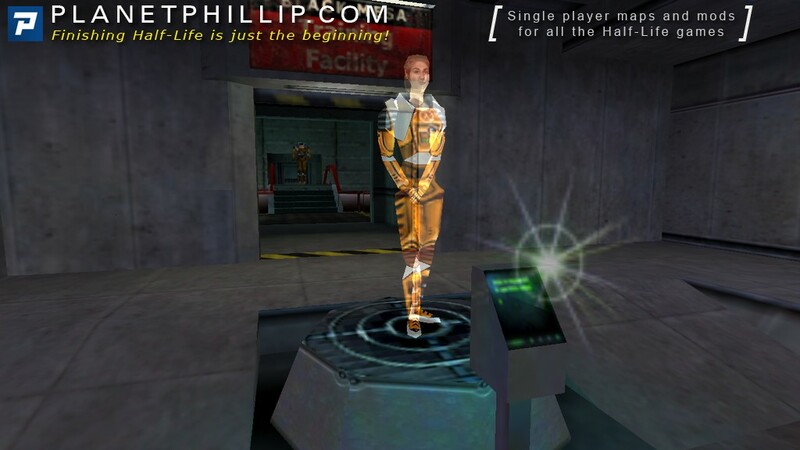 Therefore, all training for borderworld operations and expeditions (and this includes defense against an alien invasion) would not be done in the standard Black Mesa training course, it would be done in a specialized training area somewhere within the Lambda Complex. Anything else would greatly arouse suspicion, and would simply be wholly unnecessary. So they wouldn’t train scientists in the use of firearms for such a reason. The way this weapons course is depicted is also extremely bizarre. Would they really give every single scientist passing through the training course, a fully-automatic military-grade sub-machine gun, even including a contact grenade launcher? What’s stopping them from going on a murderous rampage through the entire facility? It’s not that hard to pull it off in-game, and that train at the end has got to end up somewhere. It would pose an immense security risk. Furthermore, ordinary Black Mesa scientists do not require any weapons training, since Black Mesa has a robust security force created especially for any emergency situations. There is no reason for them to recklessly train researchers in the use of firearms on-site. It’d be a waste of resources – a terrible waste of ammunition, in particular. It ain’t cheap! 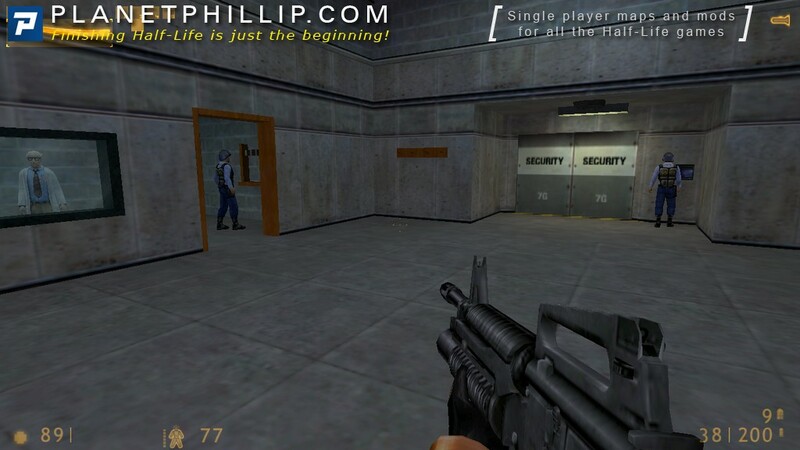 In fact, scientists don’t even receive weapons training – in the entirety of Half-Life, we only see a single scientist holding a firearm (he doesn’t even do a very good job). 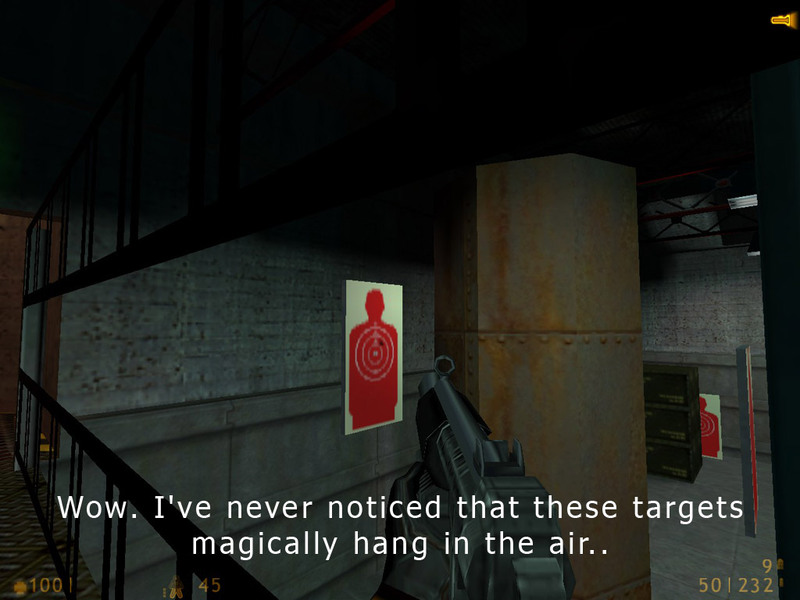 And yet, the Hazard Course tells us that every researcher working at Black Mesa must pass a mandatory weapon firing range. But clearly, this isn’t the case. That, for one, is proof that the Hazard Course is non-canon. But there are other oddities which clearly illustrate that this isn’t really an actual part of the game’s narrative. For instance, the magical, floating HEV suit; the mentions of “pressing forward“; the section that teaches scientists how to break things; the training section that focuses exclusively on explaining how to “use” people by pressing a “use key”, and… the section where scientists are taught how to make people follow them. Are these really the kinds of activities that a high-tech research center would train its employees in? I think not. 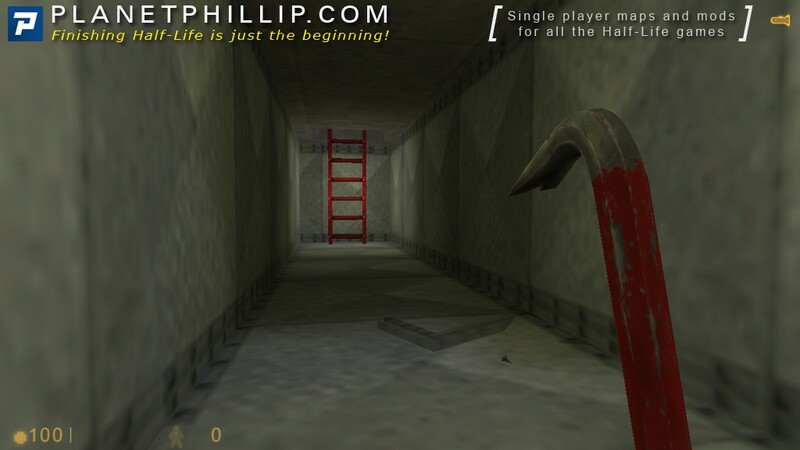 I’ll come forward and say that I didn’t play HL1 until 2008, but when I did I defiantly started with the hazard course. One thing I’ve always wondered is if this chapter is really considered canon, and if so when does it take place? One thing I don’t think I’ve ever really used is the long jump; this may be due to coming from HL2 and ultimately forgetting about it. Crouch jumping on the other hand, I don’t think I jump without crouching nowadays. From a ” realistic” point of view, I’ve always found it funny that scientists would be receiving weapons training; perhaps it was in case of the unlikely event of an alien invasion? Ultimately Phillip’s call of course, but I personally would find it interesting. I always find the speedrun videos fascinating even though I don’t like some of the tricks used. It’s certainly a differing perspective and experience from playing through “normally”. I would be very intrigued, especially if you did the same for the entire game series as Phillip covers it. It can’t be that bad, I think! Still, if you really don’t want to add any audio commentary, I’d suggest at least adding textual captions. Well i’ve been busy and I will be busy, in this days, so maybe I couldn’t write my memmories on some chapters, but, this one is special, and very interesting. The first thing that recalls or catch up my mind on this one, is the way new HL2 games didn’t have a turorial map to show the basics anymore…., just some fast clues on the HUD and ur ready to go and kill combines. 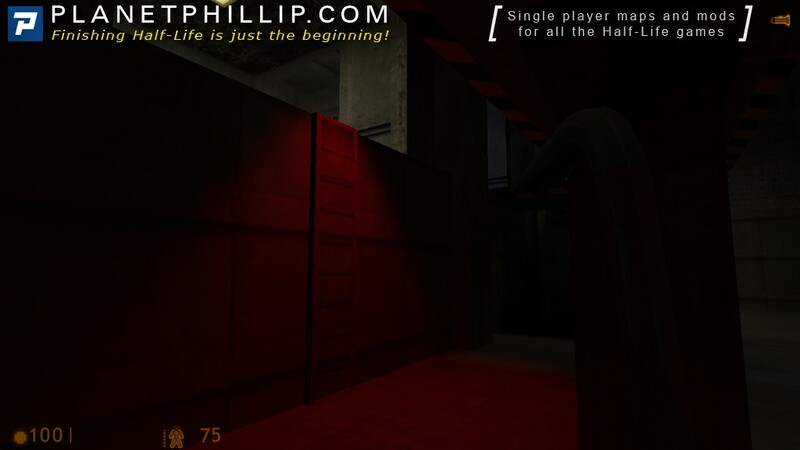 So here in HC, that’s really special because you are into a part of the game that actually is part of Black Mesa even those HC facilities fit into the environment, maybe the part in HL2 just a little biit before u go to ravenholm and practice with the grav gun along with dog, tries to do something similar but is not equal as the HL1 BM HC that’s for sure. 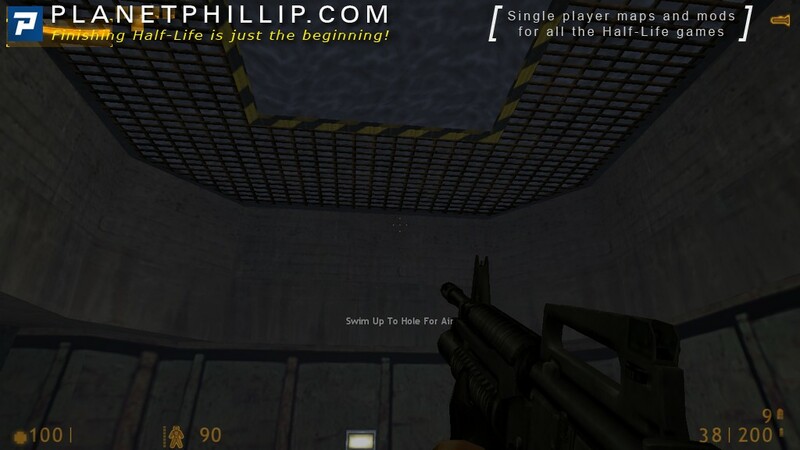 I love the water part and the steaming heating burning pipes, that’s the 1st time u realize u can drown or feel “pain” as gordon freeman, so cool, also when u have the guns and practice some shoots is just a classic part. Now I understand why the Hazard Course catch the atraction of many gamers and modders, because u can do many creative things from there, if not belive then look at HC2 Mod by richman’s and see what I mean. Finally I guess my record gameplay time on the HL1 HC is about 11-15 minutes. 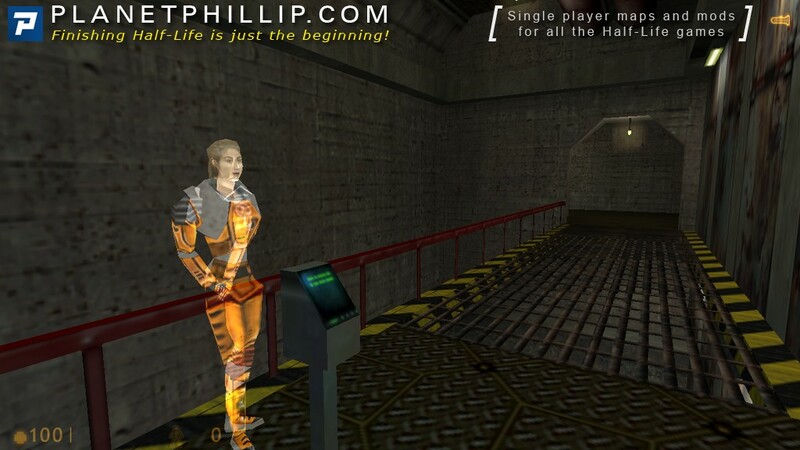 When I introduce friends to the game that changed gaming over 10 years ago (HL1). I play the hazard course in front of them. THEN… at the end I refuse to give up my gun. shoot barny, run into the to the other room and fight the turrets. Their comments and “oh, your going to get it” are a great way, to show that in this game or as I like to call it universe, anything is possible. I also like to tell them that I play the game all the way through and only need the crowbar, but “you should pick up every weapon and break every box to get ammo and med kits. Oh, I also like to say and I play on medium difficulty. you know that the crowbar thing is actually pretty easy. to spice things what you need to do is use only crowbar, NEVER pick up another weapon and try to be quick. THAT’s hard. I always liked Hazard Course because it’s so unperfect. The amount of skips possible is huge, and I used less than half of them in this video. This video is possible in less than 2min30sec but Im pretty proud of my 3:47.
it was my first time on HZC since a few months ago, so I’m happy I got the major jumps (over the water and at elevator) right in very few retries. Playtime: 3 minutes 47 seconds 292 milliseconds. Precise enough? Let me be the first to ask how did you change your HUD like that? Actually, it’s a mod that adds this speedometer thing. you probably noticed, but the bottom number is current speed and the top number is the speed when last jumped. Also there is a green color for high health and high ammo, and a red one for low. just take all the folders in that ZIP and merge them with your game folders (look for a directory where there are folders with the same name) and make sure every file that has the same name is replaced. if done correctly your HUD should become like mine. but it ain’t exactly work, it’s just the kind of speed I achieve casually now, it’s single-segment and my first try on this level in months. I guess it’s because of much time spent in training in being a speedrunner, I guess that’s work too. Was surprised to have discovered so many bugs and glitches now! And also no mention of the ‘v” key for swimming up. My fav part has to be the one walking on tables, picking up ammo and hearing that pickup sound many times and fast. If you have never played FPS games, it could be helpful, but I am just happy that there is a way to skip this tutorial. I came in on this a bit too late, not to mention I started replaying StriderMountain again. I guess I need to set that aside for now, start this up and try to catch up. 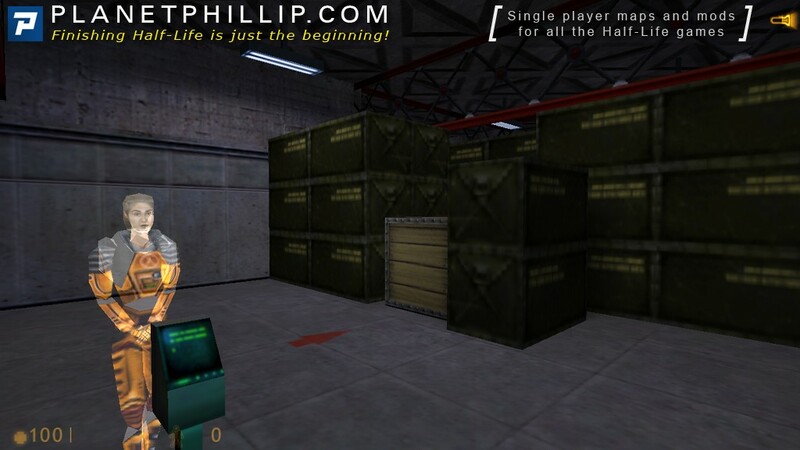 I’ve tried playing it before on Source, and I wasn’t too thrilled with it. Maybe my “rockcrusher rig” plays it too fast; or I’ve gotten too spoiled by the HL2 looks. I’ve also been waiting with bated breath for the Black Mesa mod, which might be another reason I can’t get into the HL1 on Source. Ah, the vicissitudes of life: where would we be without them?? You can answer directly the comment in order for me to see clearly you’re talking to me. I do not have a source speedometer at the moment, I also don’t have any for Opposing Force and Blue Shift as you can see in my recent videos. I wouldn’t have used this one either for the project, but I was too lazy to remove it. I may try to get one for source if you’d really want to.